The Netherlands techno/dance-pop phenomenon 2 Unlimited was one of the most popular groups in Europe during the early ’90s, s and charting number one singles in every European country. (In England, 11 consecutive singles topped the charts.) America, however, remained unaffected, bringing only ”Get Ready for This” to number 38 in late 1994, over two years after it was first released. In 1990, producers Phil Wilde and Jean-Paul DeCoster had previously gained success with AB Logic, and were looking for another vehicle for their songs. 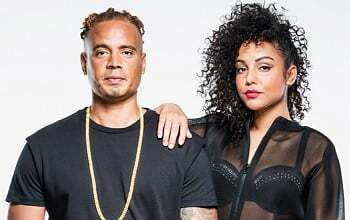 2 Unlimited formed when Wilde and DeCoster were introduced to rapper Ray Slijngaard (b. June 28, 1971, Amsterdam) and vocalist Anita Doth (b. December 28, 1971, Amsterdam) by Marvin D., who had featured both in his rap group in the past. In 1991, debut single ”Get Ready for This” reached number two on several European charts; the following year Get Ready was released.